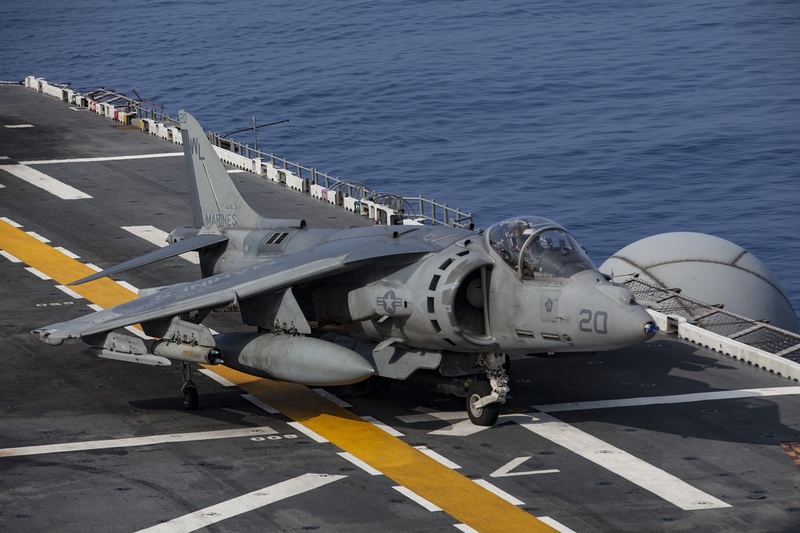 The AV-8B Harrier jump jets from Marine Attack Squadron (VMA) 311, which are currently attached to Marine Medium Tiltrotor Squadron 265 (Reinforced), tested the Advanced Precision Kill Weapon System (APKWS) for the first time in the Indo-Asia-Pacific region last week. The firing was carried out at the W-183 range training area, off Okinawa, Japan on Jun. 9, 2017. As explained by Cpl. Amaia Unanue, 31st Marine Expeditionary Unit, in the article VMA-311 conducts first APKWS live-fire training in Pacific, the Harriers launched from the USS Bonhomme Richard (LHD 6), the flagship of the Bonhomme Richard Expeditionary Strike Group (BHR ESG). VMM-265 (Rein.) 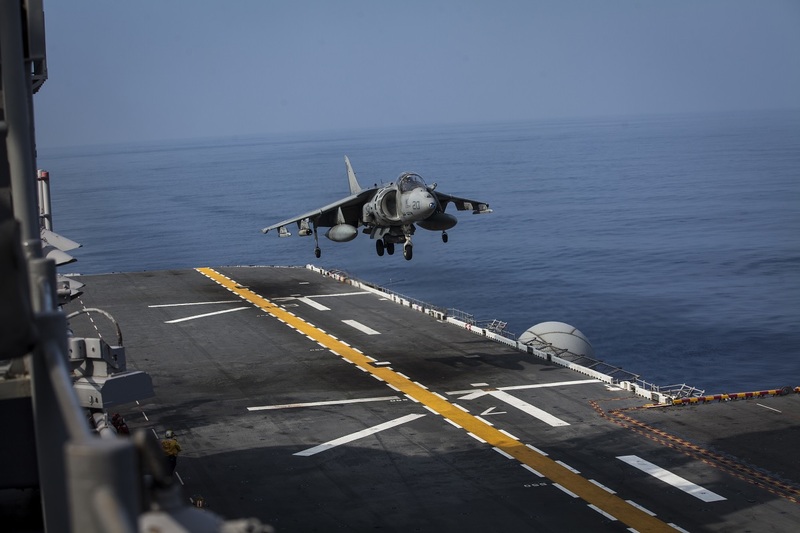 is the Aviation Combat Element of the 31st Marine Expeditionary Unit, which is currently embarked aboard the ships of the BHR ESG for a routine patrol of the Indo-Asia-Pacific region. Noteworthy the APKWS is a low-cost, laser-guided, modular system that attaches to unguided munitions. The APKWS gives Harrier pilots a lighter, precision air-to-ground attack option. Harrier pilots usually fire unguided rockets or drop unguided 500 pound bombs to destroy enemy threats, according to Capt. Paul M. Gucwa, a Harrier pilot with VMA-311. Before mounting the weapons, VMA-311 aviation ordnance Marines pulled eight 2.75 inch rockets out of the BHR’s munitions magazines, where ordnance is stored when the ship is underway. They then affixed the APKWSs to a pair of Harriers before the pilots departed the BHR, said Chief Warrant Officer 3 Eric J. McCoy to Unanue. “It’s incredible to see the pilots come back with no ordnance after seeing my Marines out on the flight deck training and sweating under the sun,” said McCoy. Throughout the training, aviation ordnance Marines worked alongside their U.S. Navy counterparts on the flight deck to prepare the AKPWS and to ensure safety for all involved. The 31st MEU in fact partners with the Navy’s Amphibious Squadron 11 (PHIBRON 11) to form the amphibious component of the BHR ESG. 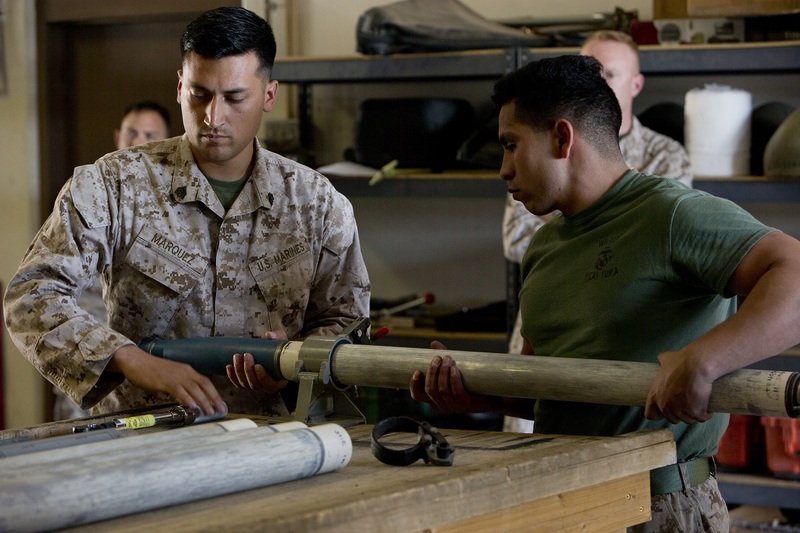 The 31st MEU and PHIBRON 11 combine to provide a cohesive blue-green team capable of accomplishing a variety of missions across the Indo-Asia-Pacific.